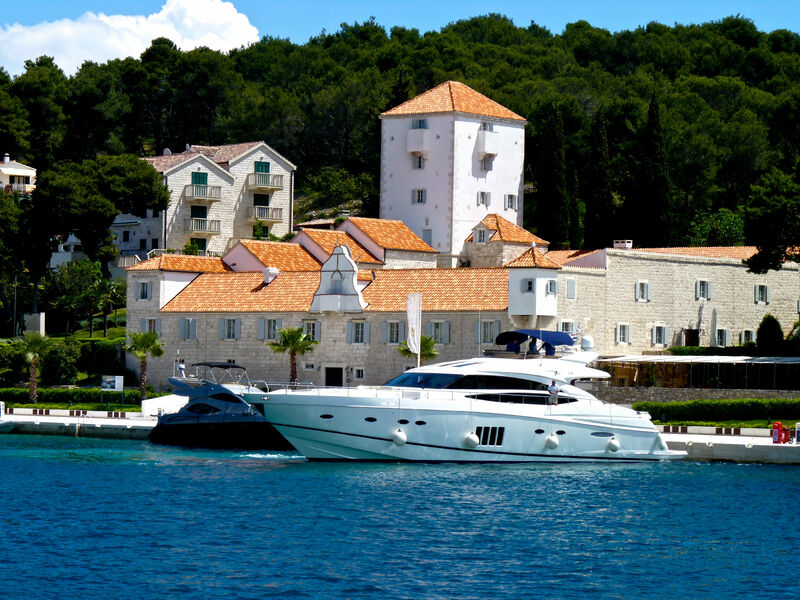 Boarding a motor yacht in Tivat, Montenegro at Porto Montenegro which is very near the Tivat airport is a great location to board for a charter start to cruise Montenegro and Croatia. 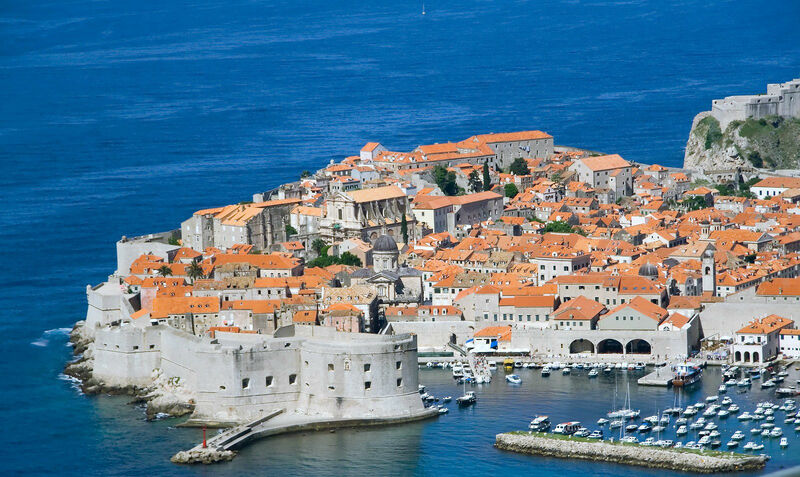 On this 7 day motor yacht itinerary, visit the highlights of the Dalmatian Coast of Croatia, including Dubrovnik, Korcula, Hvar, as far north as Trogir and Split, and as far south again as Cavtat via Vis Island. 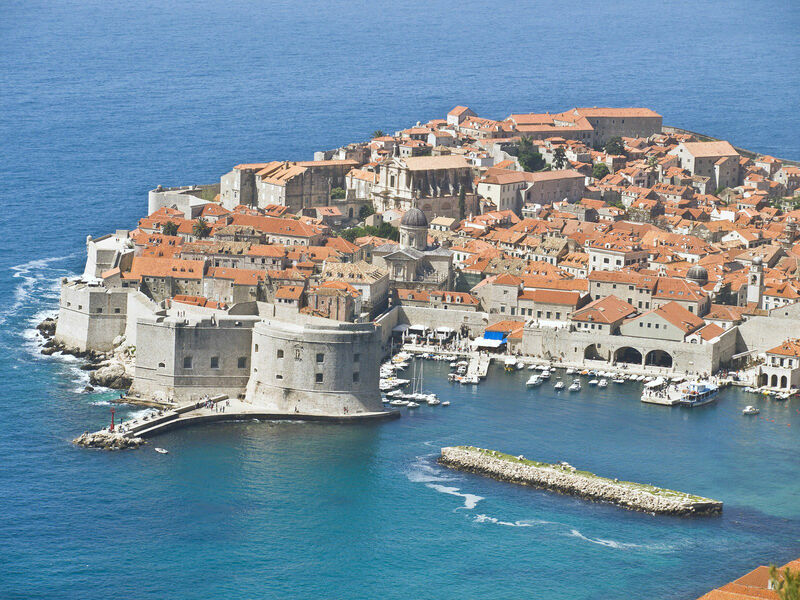 Enjoy cruising through the beautiful waters of Montenegro and Croatia, along with exploring historic sites, enjoying local island life, and sampling Croatian wines, cheeses and fresh seafood, on a motor yacht charter along the Dalmatian Coast. 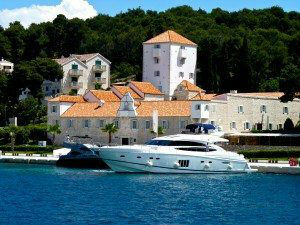 Day 1: Board your yacht in Tivat Harbor at Porto Montenegro. 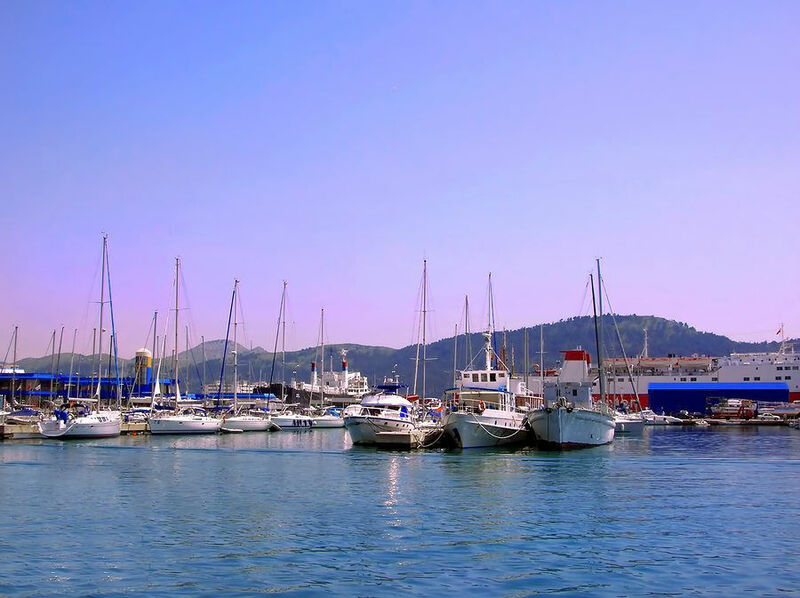 Tivat is located on one of the few fjords in the region, which is, in fact, the southern- most fjord in the area, with a tropical micro climate along the shores. 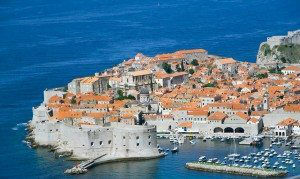 Enjoy an afternoon cruise down the fjord to Dubrovnik to overnight. 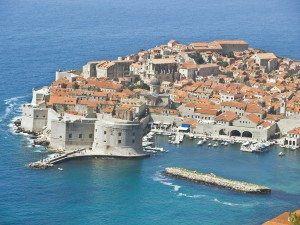 SDay 2: After breakfast, get ready to visit the spectacular walled city of Dubrovnik, a UNESCO World Heritage Site. The wonderfully preserved 15th Century “Old Town” features ancient buildings, squares, cobbled streets and fountains, all created from the same beautiful cut stone. Visit the historic main square, the priceless collections in the Dominican Monastery, the Rector’s Palace, Dubrovnik Cathedral and the Franciscan Monastery. In the afternoon, cruise from Dubrovnik to Celo on the island of Kolocep or to Lopud – an excellent beach for lunch and then on to Sipanska Luka, a delightful little village with an old quay to which you can moor. Take a lovely walk up the hill to the church where you can see for miles around. Overnight. 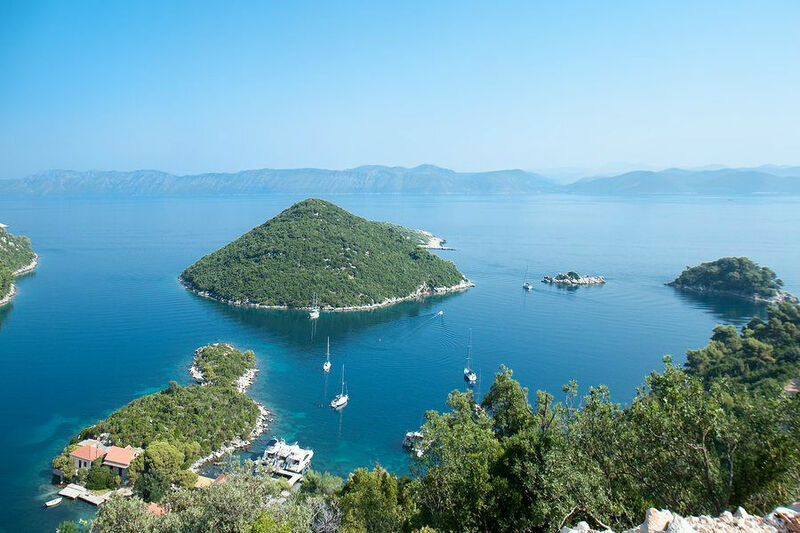 Day 3: Leave early for the Island of Mljet. The island was once one of the biggest producers of olive oil in the Med. Odysseus was fabled to have been seduced here by nymphs in Homer’s “The Odyssey”. Swim and have lunch at a little secluded bay and then on to Polace, (literally “palace”) to explore the ruins of a Roman palace right in town. It is a beautiful cruise along the inlet to Polace. At the end is a protected bay ringed with restaurants. Much of the surrounding area is a national park with lovely hiking and cycling trails. Head over to the lake and take the little lake boat to visit the old buildings on the island that was once a monastery. Have dinner on board or ashore. Ankara Restaurant makes an excellent fresh Black Squid Ink Risotto. Overnight. Day 4: Cruise in the morning to Korcula. 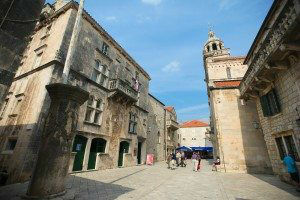 On arrival head ashore for a walk around the fortified medieval town of Korcula (pronounced KorCHoola). 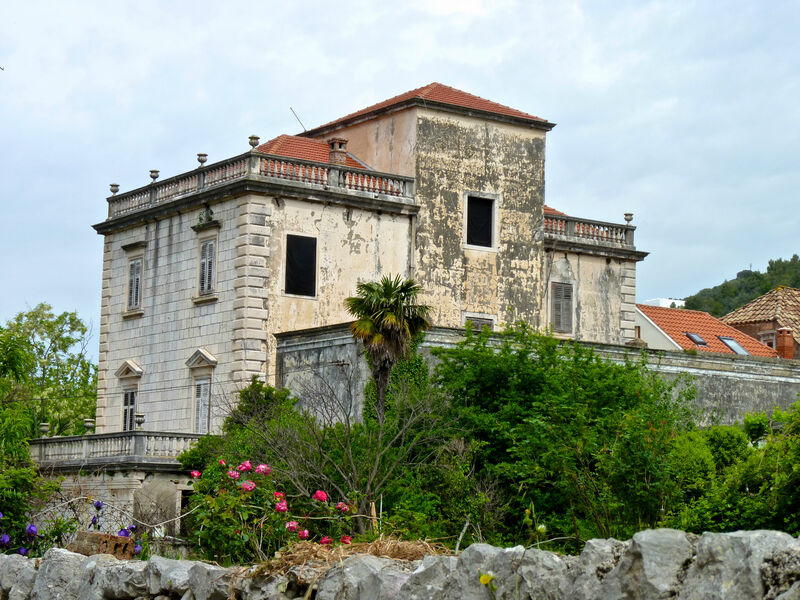 Marco Polo was said to have been born in Korcula, and inside the walls is a museum in the home believed to have been the birth place. Wander the old town where the streets are laid out like a fish skeleton for protection from the winds and perhaps you will hear locals performing Klapa singing on a street corner. Have a drink at thecocktail bar at the top of one of the towers, where the drinks arrive by a pulley outside the walls. In late afternoon leave for Hvar. 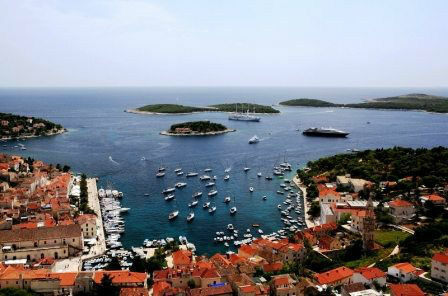 Hvar town is overlooked by a large castle and has the oldest theatre in Croatia (circa 1200). This is where the beautiful people hang out. Enjoy a drink in a café along the open town square before strolling along the promenade to soak up the atmosphere of Croatia’s Cote d’Azur. The ancients considered Hvar one of the “Isles of the Blessed”. Flower-filled gardens, palms, lemon and orange groves add a fragrance lovely enough to match the visual appeal of this sun-drenched island beauty. Lavender is grown everywhere and “tussie mussies” and other lavender products are a great souvenir from this island. Visit the theatre of 1506, the Benedictine Monastery, the town square and medieval castle up on the hilltop. The Stari Grad Plain on the island is another UNESCO World Heritage Site; is the most fertile plain in the Adriatic, and is still best preserved ancient cadastre in the Mediterranean. Overnight, and for those wanting a taste of the chic nightlife, head to Hula Hula for a drink before heading on to Carpe Diem or Carpe Diem Beach after midnight for dancing until dawn. Day 5: Leave early for Rogac, a hamlet of the village of Grohote on the northern coast of the island of Solta. 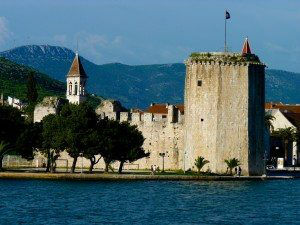 In the port there is a citadel dating back to the 17th century. The church of St. Therese has an altarpiece with the portrait of the donor from 1749. The cove of Banje features the remains of a Roman fishpond. Enjoy lunch and a swim before heading up to Trogir to overnight. Trogir is a small town outside of Split, and is located on the foundations of an ancient Greek settlement on a small island connected to the mainland by bridges. 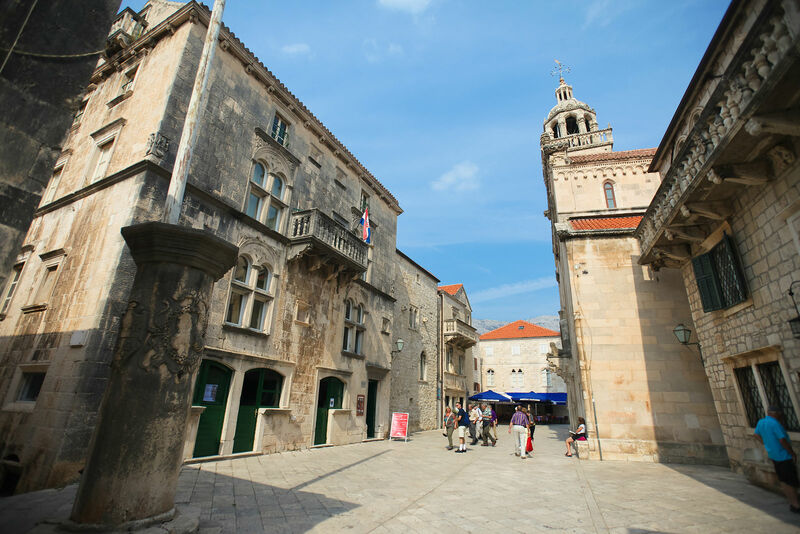 This medieval town is a favorite stop, offering restaurants, markets, and important medieval architecture, including the 15th Century Trogir chapel and the 13th Century portal by the master Radovan. Enjoy wandering the old city, and perhaps again you will hear local Klapa singing. Late afternoon take a van to the ancient city of Split which was taken from Salona as the metropolis of the Roman province of Dalmatia. 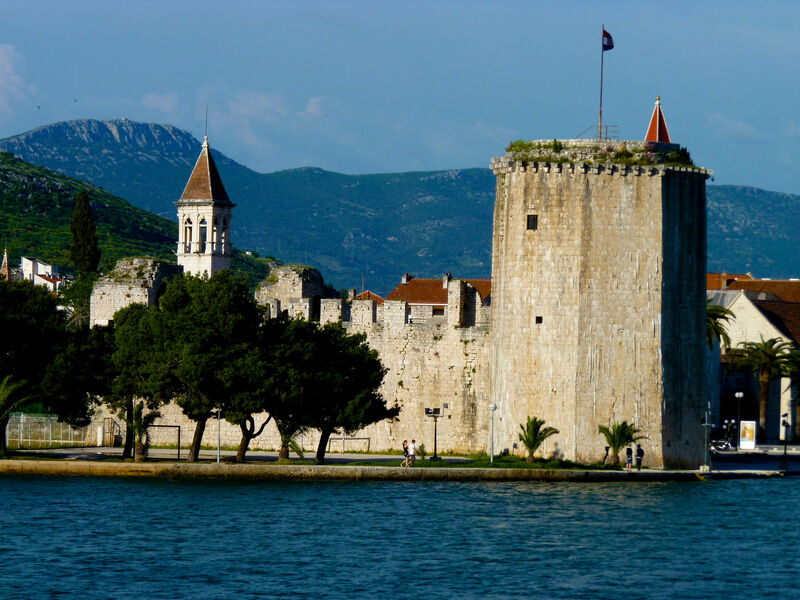 The medieval town developed within and around the Emperor Diocletian’s palace ruins, which is now a UNESCO – “monument of universal importance”. Other sites to visit include the Peristyle, Jupiter’s Temple and Visesllas’s Baptistery which are all in the area of Diocletian’s Palace. A great restaurant in Split is Nostromo’s near Diocletian’s Palace and the open air daily fish market, with the restaurant featuring, of course, fresh caught fish and seafood. Day 6: After breakfast, cruise south to Vis. Studded with little coves and inlets, one is simply spoilt for choice as to where to stop for a dip. Perhaps spend an evening in Komiza, where Tito hid from the Germans during WW2 and where there are two excellent restaurants serving fresh fish and local produce. In the Gradina area are remnants of the ancient Greek town if Ussa. On the small Pirovo promontory are remains of a Roman theatre and thermal baths. Enjoy lunch after a short morning sail to the off-lying island of Bisevo, where a quick jump in the dinghy will reveal “the Blue Grotto”, an underwater cave that during the morning is lit from the sun, giving the water an amazing color. Head back to Vis Town, a charming old town with some excellent restaurants and a wine bar where they serve nothing but wine from Vis. Overnight. Day 7: A morning sail returns you back to the Island of Korcula, and the port of Vela Luka. The coastal strip, including the small islands of Proizd, Kamenjak, Osjak and Gubesa, represents a rich fishing ground. Also, there is a prehistoric archaeological site – Vela Spilja (Neolithic). Another historical site, the one-nave church of St. John, in the region of Gradina, was first mentioned in the 15th century. It has a bell tower on the main front (“na preslicu”), and a Gothic vault. The parish church and the belfry were built in neo-classical style. Also all along in this area are wineries, so be sure to taste the local wines. 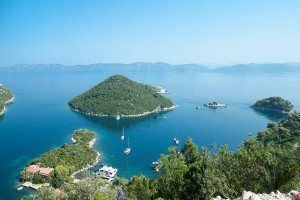 A good cruise to the deserted island of Lastovo. A military island until 1992, Lastovo was out of bounds to civilians and thus is completely undeveloped and spectacularly pretty. The lovely anchorage is well protected. Day 8: Enjoy a swim before heading back to Cavtat, next to Dubrovnik to disembark.